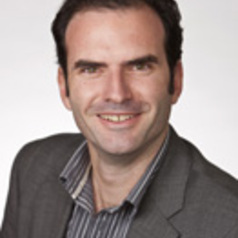 Dr Adam Lockyer is a Senior Lecturer in Security Studies at Macquarie University. He is also a non-resident Visiting Fellow at the United States Studies Centre. Before joining PICT, Dr. Lockyer was a Research Fellow in Defence Studies at the University of New South Wales. He has also held positions at the United States Studies Centre at the University of Sydney, at the Center for Strategic and International Studies, in Washington, DC, and was the Lowy Institute's 2008 Thawley Scholarship in International Security winner. He also spent four years serving in the Australian Army. Dr. Lockyer has published widely on issues relating to Australian defence strategy, US defence and foreign policy, post-conflict reconstruction, governance and insurgency. His article titled "The Logic of Interoperability: Australia's Acquisition of the F-35 Joint Strike Fighter" won the SAGE Award for the best international contribution to a Canadian academic journal in 2013. His article entitled "Evaluating Civil Development in Counterinsurgency Operations" won the prestigious Boyer Prize for best original article published in the Australian Journal of International Affairs in 2012.